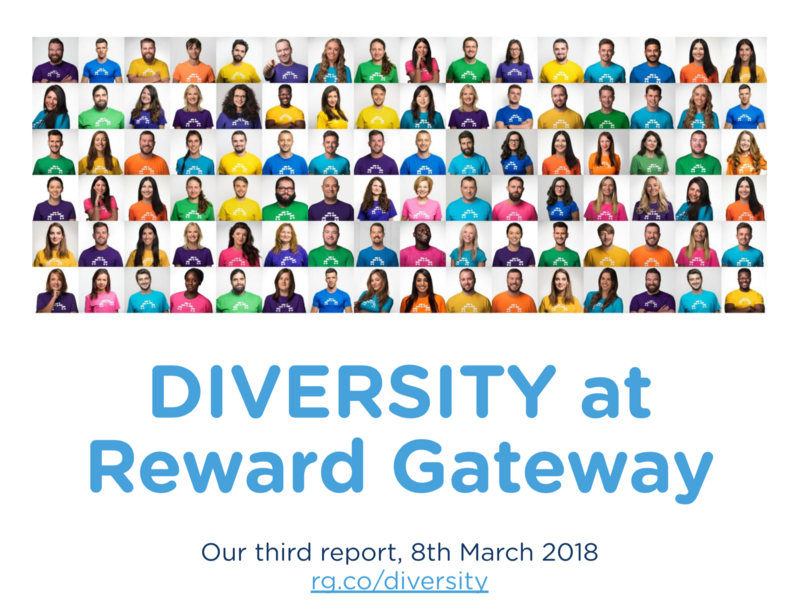 Today we’re excited to announce our 2018 Diversity Report, which represents our commitment to diversity and inclusion at Reward Gateway. We’re constantly striving towards improving our workplace balance and making Reward Gateway a better place to work. With this being the third year that we’ve produced a Diversity Report (read last year’s report), we recognise there’s always room for improvement, which we fully embrace and are prepared to learn from the data to make meaningful changes for the future. As we’re considering our People Team objectives, diversity and inclusion remain at the centre of our 2018 agenda. Companies from around the world have already started producing their own versions of Diversity Reports. Organisations can benefit from a report like this because they can get to know their people better and understand their needs to better engage and empower them at work. It’s important to think global, be inclusive and embrace diversity. Remember, you don’t have to get everything right on the first try– in fact, it’s best to go into this with an open mind, listen to your employees and strategically plan goals for the future to make your organisation a better place to work for everyone. There are a few key areas we are focussing on to support our strategic objective of diversity and inclusion. The first of our workplace diversity and inclusion tips is to ensure our job adverts are gender neutral to attract top talent inclusively. The next area we are focussing on is increasing access to our careers page and job ads for people who benefit from help in increased visual accessibility. Lastly, we are hiring an intern for a three-month period to help create a greater understanding of life for disabled workers. Later this year, we’ll be publishing a Gender Pay Gap Report, which I hope will open up even more communication and discussion among our 375+ RGers. Sharing our stories is just the first step. Reach out to me, or Cat Lewis, with what you’re doing to embrace inclusivity and diversity and let’s brainstorm on more ways to make the world a better place to work, for everyone. Subscribe to Blog Updates for inspiration in your inbox!